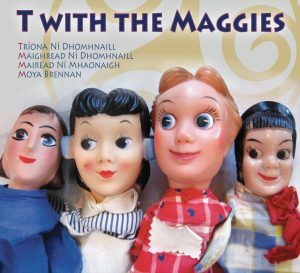 T with the Maggies are Tríona & Maighread Ní Dhomhnaill, Mairéad Ní Mhaonaigh & Moya Brennan. Their first show in January 2009, at the Temple Bar Tradfest in Dublin, sold out immediately and they went on to perform at last year’s Irish Global Economic summit. A new recording of their repertoire favourite, “Two Sisters”, was commissioned by Sam Shepard, for his play, Ages of the Moon.